If you’re in the construction business, you know that claims aren’t a matter of “if” so much as “when”. It’s a good idea to keep some experts in your corner for when you need them. Being able to contact a consultant to help finalize plans, or resolve a claim, can prove invaluable in the long run. Construction and turnaround services are put into jeopardy when there is a departure of a senior manager. That void can be felt by everyone, and time is money. You’ll want someone who is equipped to step in when these short term challenges happen. You might have the most loyal employees in the world, but everyone gets sick or injured at some point. Rather than banking on these members staying put, try and institute a backup plan to deal with what happens if and when they leave. One of the most common construction disputes is a delay claim arising from poorly outlined contracts. Hiring a construction claims consultant will give you another set of eyes to review the contract and avoid the dispute altogether. Consultants can help provide their sources for materials orders, potentially saving thousands on supplies. They might help in other ways too, and can be a very useful hire throughout any process. 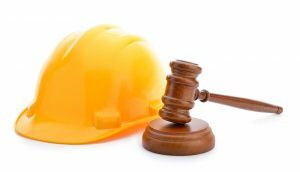 A construction expert witness will be most useful when you go to trial, but you’ll find a consultant can often fit that role. An expert witness might need to be licensed by your state to speak authoritatively, so be sure you’re hiring someone holding proper certification.